Adele is to be awarded with an MBE at Buckingham Palace this week, having been named on the Queen’s Birthday Honours list. The Someone Like You songstress is set to make the prestigious visit to the Palace tomorrow (Thursday, 19 December), having been recognised for her services to the music industry. After topping Amazon’s best-selling album list earlier this week, with her 2011 release, 21, the mum-of-one rounds off another incredible year – especially as she remained out of the limelight for the majority of it. The Tottenham-born star will be known as Miss Adele Adkins MBE, which sounds suitably swanky to us. 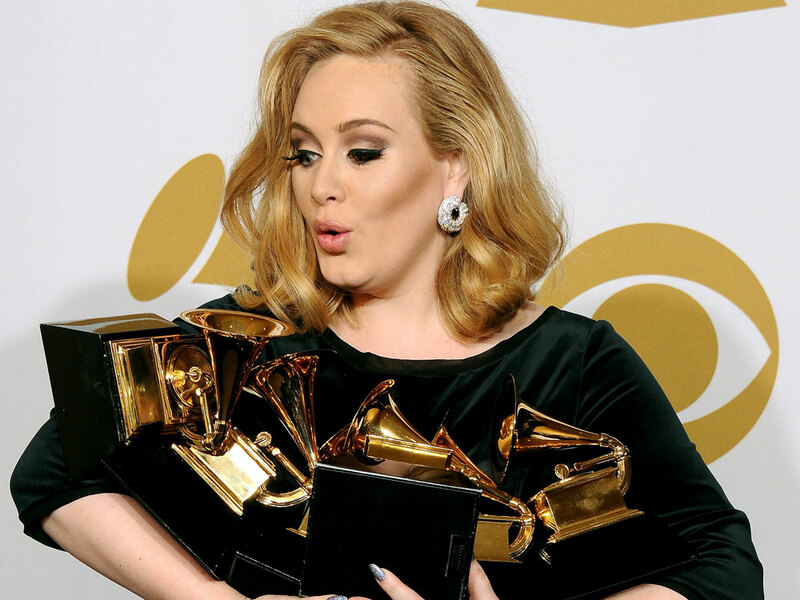 Adele topped the charts in 30 different countries with her last album and held the UK top spot for over 23 weeks. Her James Bond theme song also earned her an Oscar in February, as well as collecting a ninth Grammy for Best Pop Solo Performance for Set Fire To The Rain. Singer-songwriter PJ Harvey, broadcaster Aled Jones and author Joanne Harris were also on the list for MBEs, while broadcaster Claire Balding has been honoured with an OBE. Meanwhile, the wait continues to see David Beckham will receive the knighthood everyone’s gagging for him to receive.